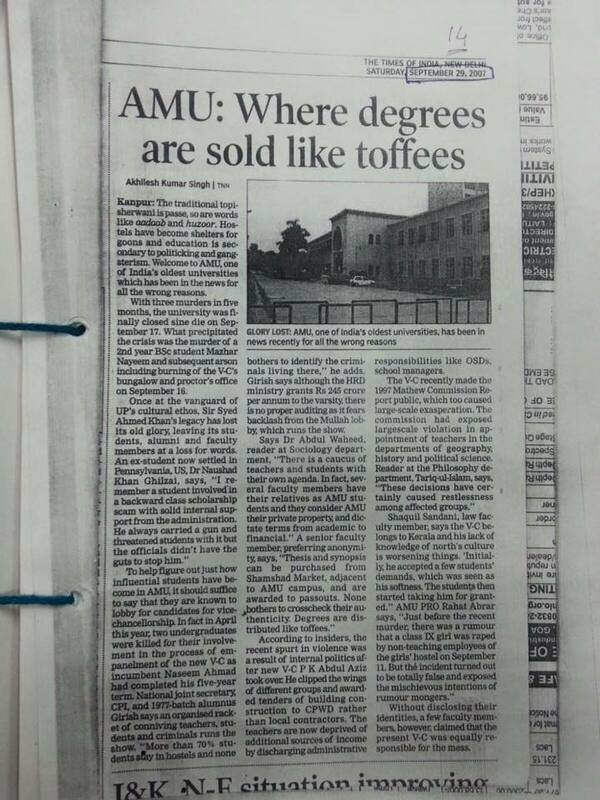 On 29 September 2007, one of the leading news paper of Inda(TOI) published a news and the headlines which read as ” AMU: where degrees are sold like toffees. The contents of the news left no stone unturned to tarnish the pious and sober reputation of our Alma Mater. The concocted article further described that the degree are sold like toffees in the university campus. Aggrieved by said notorious picturization of its Alma Mater, Farrukh khan Advocate, then a budding lawyer, dragged the notorious newspaper to the court and is fighting for the cause and reputation of its university TILL DATE. 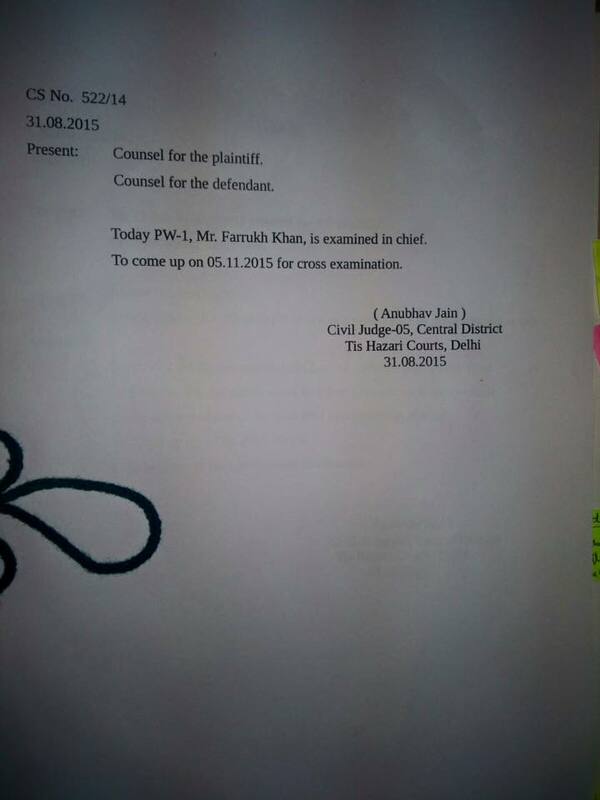 The case is still pending at This Hazari dist court and is listed tomorrow for cross examination of adv Farrukh Khan himself. It is an humble request to all Alig brethren to show your support and solidarity for the cause of reputation of our Alma Mater. God bless AMU. Long Live AMU.